20150326 Lynn 0, RJ 7, me 2. RJ won. 20150620 Lauren 2, John 4, me 1. John won. 20150904 Josh, Michael, Kevin, me. Incomplete. Batman equivalents of the Countess (7) and Prince (5). Despite owning a copy of this game (since about last Christmas), today was my first time playing it. This was, however, the Batman edition. 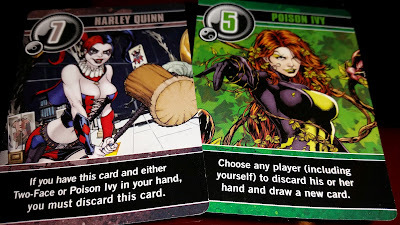 But like a Pokemon-themed deck of cards functions the same as a deck of cards at a table in Las Vegas, the Batman edition of Love Letter functions exactly like the original. While there are many strategies I've yet to encounter, here are some I have come across, both straightforward and complex. 8. 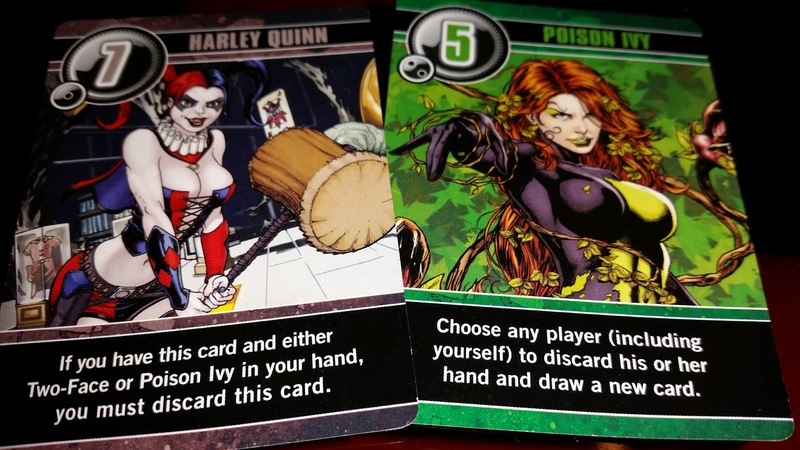 Lose round upon discard. 7. 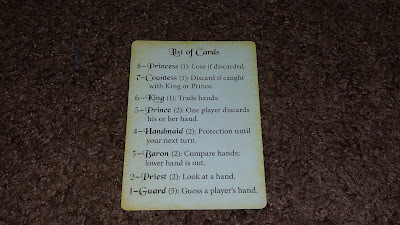 Discard (7) when in possession of 5. or 6. *I didn't realize it at the time, but apparently you can target yourself. Several strategies deal with bluffing. Many others are straightforward. Use 3 when you have a high card in hand. Or ask for a 3 with a 1 if you have a high card in hand in order to trick another player to use a 3 on you. While using a 4 is great protection, is it probably also the least guessed by a 1, so you can choose to hold onto it. Use 5 against someone with an 8. Use 6 to give away an 8. 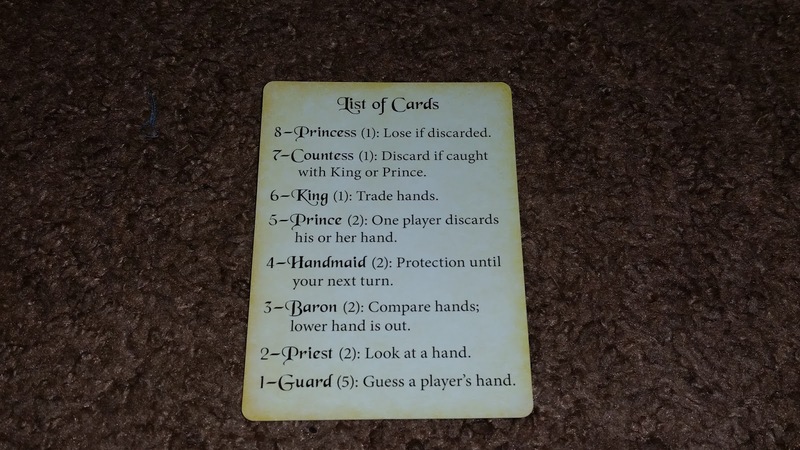 At any time, you can discard a card as if it were a 7. Careful, as other players will automatically think you have a 5 or 6. One sign that someone has an 8 is they may try to conceal holding onto a card, by constantly shuffling. Of course, you can bluff that you possession of an 8 by faking this tell. 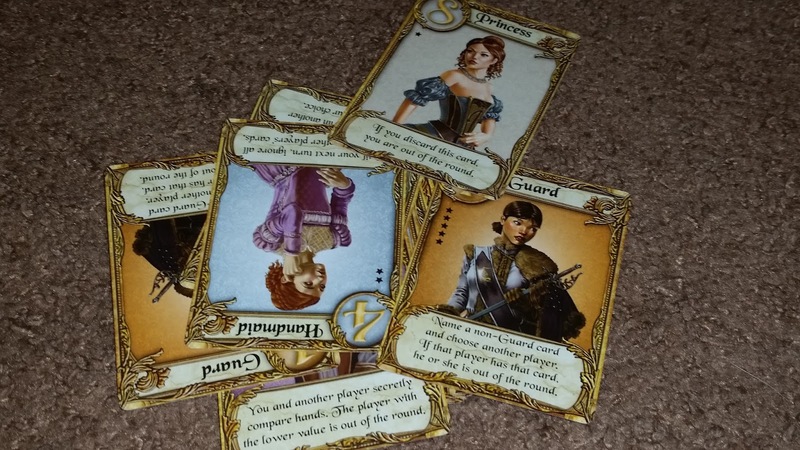 Overall, Love Letter is pretty fun and I'm glad I own it. It could imagine, however, that it'd be more fun with four players. There was a huge thunderstorm that canceled a couple of shows today at Firefly. Attendees on the festival grounds were asked to leave and return to their cars. Upon doing so, I found my friends huddled inside the car with a bunch of our snacks. Besides talking and eating, we decided to play a round of Love Letter. 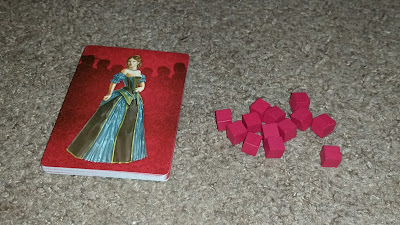 While I bought my copy of Love Letter quite some time ago, I only finally got around to opening it today. In fact, I brought it with me to Firefly 2015, but my friends John and Lauren also had a copy so we just played with theirs.